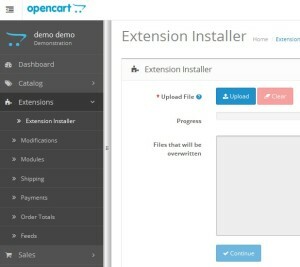 We have integration with OpenCart and can automatically download orders and upload orders shipping information. The minimal supported OpenCart version is 2.0.1.0.nd to link OpenCart account to Teapplix you need to tall our plugin (the download is provided on the setup page). Download our archive with plugin. Log in your OpenCart admin page. Click "Upload" and pick up the archive. To connect plugin with Teapplix open "Extensions" => "Modules" => "Teapplix (Edit)". Make sure it shows "Teapplix Connected"
Sometimes OpenCart connection with Teapplix is not successful, but OpenCart would still show as "Teapplix Connected". 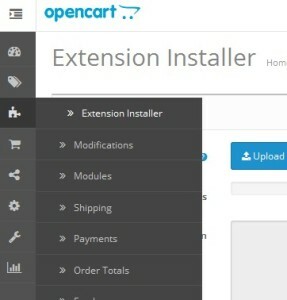 In this case, you can go to your OpenCart Extension page, and try to re-do the connection (click "disconnect" button first and then "connect" button again). Please repeat this action until you see the successful connected message. Then click on "Test Connection" to test it out.